Ever wanted to try a skincare product that really works with your skin and had lasting results? Here’s one skincare brand that does that and so much more. Luxury skincare at its best!! 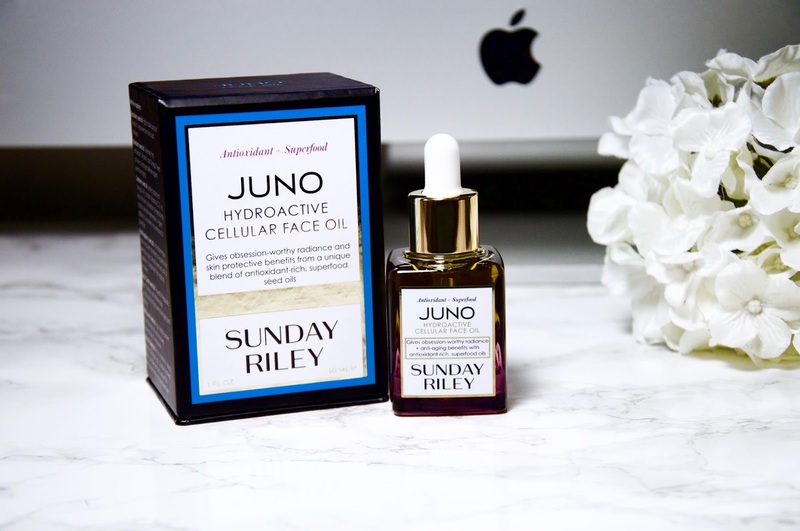 If you haven’t heard about Sunday Riley, well then, sit back, grab a cup of tea and continue reading and learn more about the brand, the products I use, the benefits and much more. As you all know by know, I’m very much into skincare and I’m very cautious about the products I use on my skin. After doing a little research of my own, while sticking to my routine facials and regiment–I truly believe you need to listen to your skin when it matters most. Your skin tells you a lot, and my skin was definitely telling me something. I have combination skin, (sensitive, dry, oily). So, I can’t use any product because my skin will react almost instantly. Although, I’ve been conscious enough to stick to a routine for both day and night. In the last few months, I’ve change out a few of my products that have done wonders on my skin. I’ve learned that although it’s good to stay consistent, sometimes our skin can “act up ” and that can be dependent on a variety of things. The 3 main factors why this may be are: the time of the month, weather and how well -rested we are. On the other hand, sometimes our skin can have a mind of its’ own and you may experience a change in your skin outside of those 3 reasons. So, it’s good to change things up in your skincare routine. Using products that will be most effective for your skin. It’s actually a smart thing to do too. Outside of those 3 factors, skin changes could be attributed to stress, hormone levels and other health factors can cause changes in your skin. Rest assure, you’re not alone– we all go through these changes in many different ways. One thing is for sure though, before you go changing your products be sure to spot check it first on either a small area under your jawline or even on your wrist. Give it a go twice a day for a few days and see if your skin rebels or not. If it doesn’t, it’s safe to say the product can become part of your skincare routine. This will eliminate any unnecessary facial freak outs which is what we don’t want! Remember to always exfoliate at least twice a week and ALWAYS use an SPF rain or shine no matter what time of year! This is a MUST!! It’s always good to protect your skin early on to prevent premature skin damage, wrinkles, and fine lines, taking out the dead skin and building new skin. Keeping your skin hydrated, youthful and radiant. Now if you haven’t heard about Sunday Riley yet, now you have. 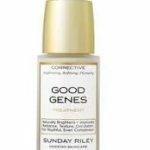 Sunday Riley are tried and true products I’ve used and would recommend to everyone. The results are will amaze you. 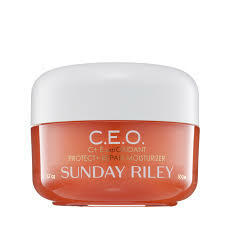 Sunday Riley is modern skincare that’s beneficial and proven to be fast acting with long-lasting effects. Who would have thought that someone with combination skin (Sensitive, dry, and oily) would find amazing benefits with using facial oils??!! My thoughts before incorporating a facial oil into my skincare routine was, Why would I use a facial oil if I tend to have oily skin?? That didn’t seem right to me, I thought I was adding to the problem instead of fixing it. Well, I was surely mistaken, and in fact I was doing more good for my skin than harm by incorporating facial oils into my skincare routine. It’s done wonders on my skin and complexion. 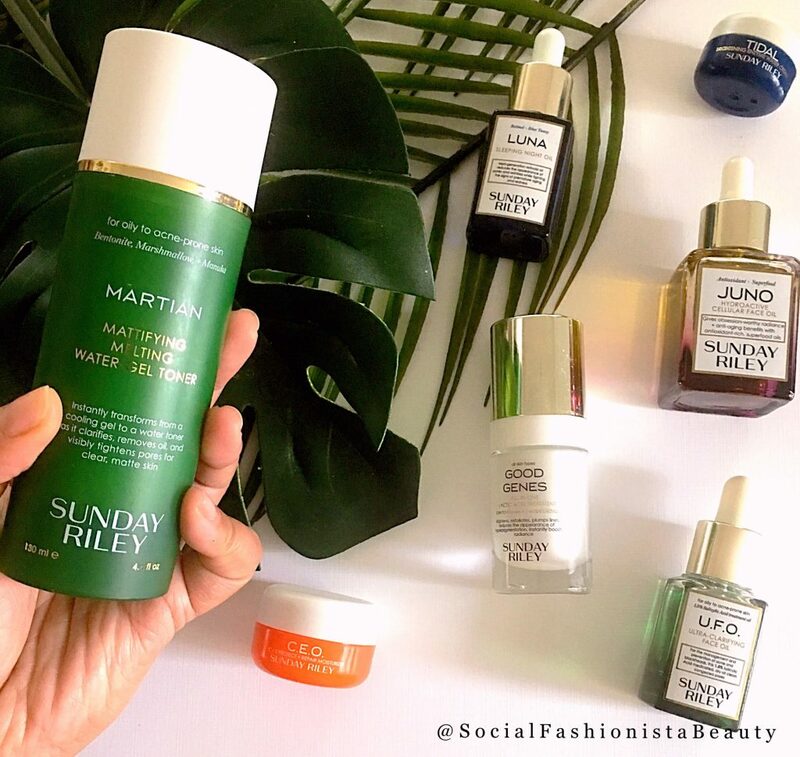 These facial oils from Sunday Riley are nirvana to your face, no lie! 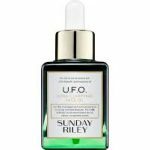 Sunday Riley’s facial oils are the holy grail of all facial oils. All of Sunday Riley’s products are absolutely AMAZING! She prides on the fact that her brand and skincare line are: Smart, high-performance skin care focusing on fast result with a long -term payoff. 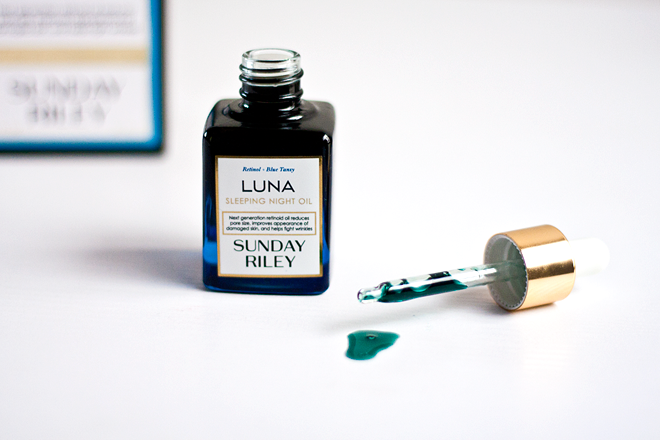 Sunday Riley products are just that and so much more. I recently just discovered the U.F.O. Ultra-Clarifying facial oil. After hearing such great reviews and high praise regarding this product I decided to give it a try. I was experiencing some stubborn acne that would seem to go away on its own and with the products I already use. I attributed my acne to stress and poor food choices at the time. I needed something to work on my skin and fast. I was hearing rave reviews about this clarifying oil along with the Martian Mattifying Melting Water-Gel toner and I decided to give them a try. I’m so glad I did, after using both products I saw immediate results. My acne cleared up, and my skin was back to normal. These two used in conjunction with my other skincare product did the trick. These two together (Clarifying oil and Mattifying Melt Water Gel toner) proved to be quite powerful– the results were impressive. U.F.O. Ultra Clarifying Facial Oil Benefits: For oily to mild acne prone skin, dry treatment, promotes clearer, smoother and even tone skin. The end result: clear, smooth radiant skin. Since it’s a dry oil it seeps into your skin and targets the acne head on to clear and diminish any inflammation. It contains beneficial plant oils that soothe and calm the skin. If your looking for maximum results use it in conjunction with the Martian Melt Mattifying Water-gel toner. Martian Melt Mattifying Water-Gel Toner Benefits: This toner, clarifies the skin, removes excess oil build up, visibly tightens your pores–giving you clear, mattifed skin. It’s also an excellent primer for your makeup, since its proven to smooth, tighten and mattify. This product soaks up excess oil and tightens your pores; The marshmallow extract calms redness; Manuka honey ingredients serves as a natural antibacterial agent (to help ward off acne); Cucumber, green tea and witch hazel extracts are antioxidants that tone and protect skin. It’s a multi-pronged strategy for fighting breakouts, pore hugeness, redness, oiliness and inflammation. My experiences with this product, were positive and effective. Definitely worth spending the extra dollars for the results you’ll get. It’s best to use it with the U.F.O. clarifying oil –both are powerful treatments that are fast acting remedies. Definitely a MUST in my book! 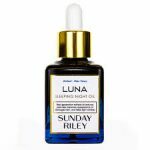 Luna Sleeping Oil: This is another product that comes with a steep price tag, but before you knock it, hear me out. It contains retinol, which helps fight the appearance of wrinkles, avocado-seed oil, which is rich in vitamins A through E, and blue tansy, which is known for its anti-irritant abilities. After my toner I apply 2-3 drops on my dry skin and slightly press it into my skin so it can really sink in. The tansy ingredient is said to help reduce stress and tension. The oil is blue and it seeps into my skin and by morning I wake up with super hydrated, glowing skin. It should come to no surprise why this is a MUST-HAVE product thats won a spot on my vanity. It’s become a huge part of my nighttime skincare routine. 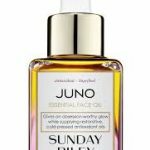 My absolute favorite facial oil is Juno. 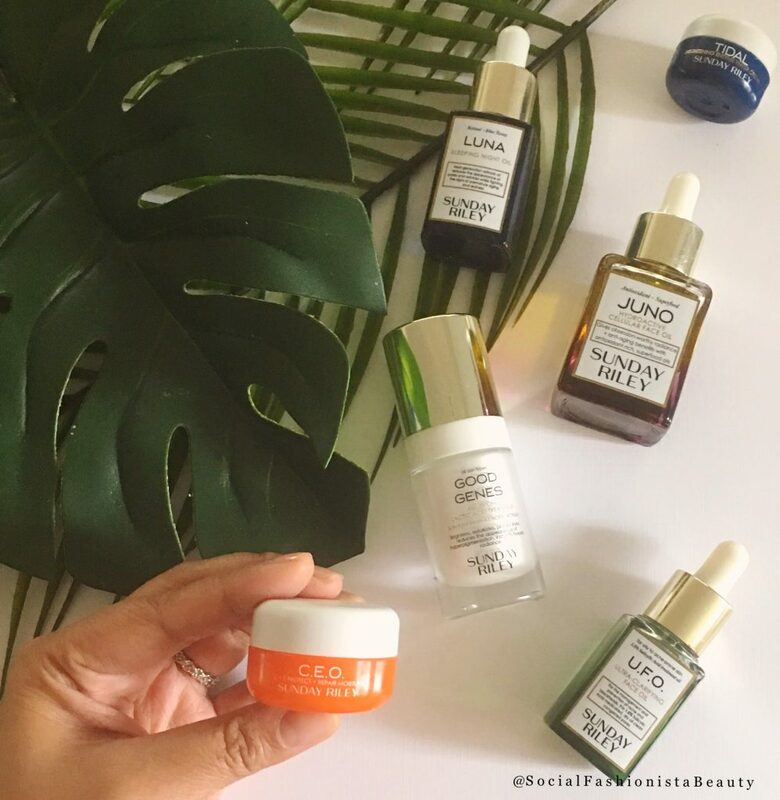 It’s a facial oils that give you that dewy, “lit from within” complexion, with it’s blend of omegas, natural retinol and essential fatty acids formulated into a unique non-greasy oil that gives you glowing skin. 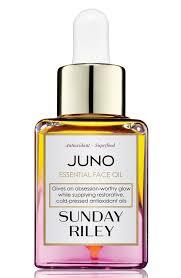 Juno Facial oil benefits: Radiants, anti-aging benefits, hydrates, clarifies, rich antioxidants and superfoods. It quickly absorbs into your skin giving you a healthy glow. It leaves your skin, moisturized, hydrated and luminous. Overall, I love how it’s lightweight, very rich with antioxidants and it works well makeup application. I use this every morning in conjunction with my serum, and my skin feels luxurious, hydrated and looks radiant. 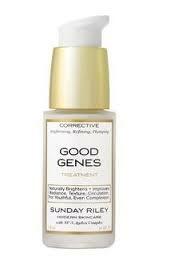 Good Genes Lactic Acid Treatment: is a brightening, multitasking radiance treatment and mask. Everyone wants the unmistakable look of having “good genes”. This amazing treatment is formulated with key ingredients which will plump fine lines, reveal brighter, newer skin, and improve circulation for a smooth, vibrant complexion. Long term use will help restore damaged skin, reduce hyperpigmentation and scars, reduce the depth and number of line and wrinkles, even out skin tone, and increase epidermal thickness and firmness. 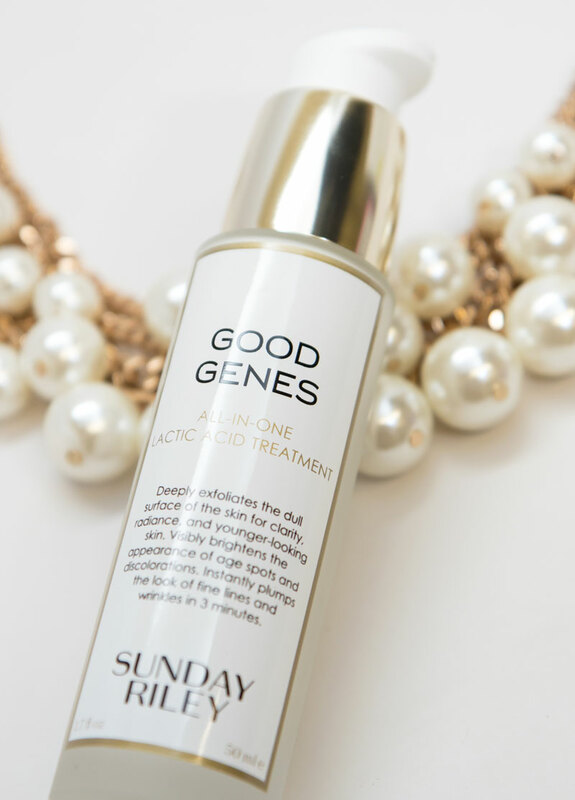 Good Genes All-In-One Lactic Acid Treatment is formulated with high potency, purified grade lactic acid that immediately exfoliates dull, pore-clogging dead skin cells, revealing smoother, fresher, younger-looking skin. Fine lines appear visually plumped while the skin looks more radiant. With continued use, the appearance of stubborn hyperpigmentation and the visible signs of aging are reduced for a healthier-looking complexion. Perfect for all skin types and all ages, this treatment is enhanced with licorice for brightening, Good Genes clarifies, smooths, and retexturizes for instant radiance. 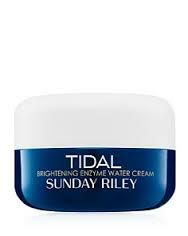 (Sephora) I fully trust Sunday Riley products, I’ve seen results first hand and now I’m beyond OBSESSED! Lol! I’ve a transformation in my skin and complexion and I couldn’t be happier. 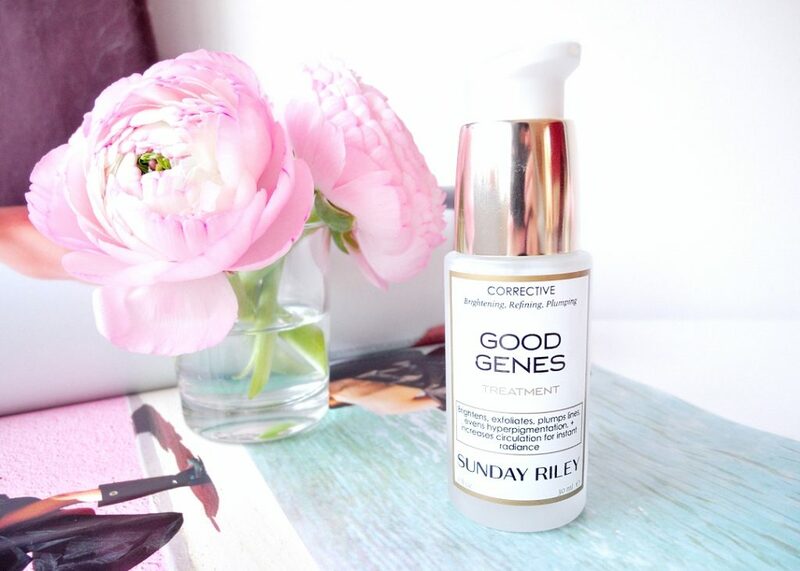 I use Good Genes in the morning, and my skin looks smooth, bright and youthful. 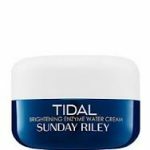 Tidal Brightening Enzyme Water Cream: is a moisturizer that is an advanced brightening and refining treatment, infused into a next-generation water cream. I used this moisturizer as part of my nighttime skincare routine. As it works into my skin while I sleep, I’ve seen my dark circles and any hyper pigmentation diminish, leaving my skin looking hydrated, youthful, plump and bright. After the first few days of using this product, I noticed a change in the texture of my skin in a very good way of course. I wake looking rejuvenated and refreshed, this product works great with Luna Sleeping oil. C.E.O. C+E Antioxidant Protect + Repair Moisturizer : Although this product contains anti-aging agents and I tend to use my anti-aging products for the night time this can protect my skin in the day time. In addition to protecting my skin during the day, it also has long lasting anti-aging effects that can be beneficial for my skin overall. C.E.O. C + E Protect and Repair Moisturizer infuses five percent advanced, oxygen-stable tetrahexydecyl ascorbate (THD ascorbate) into the skin—the gold standard form of vitamin C. THD ascorbate is the newer, clinically-proven, oil-soluble derivative of vitamin C, which penetrates better into the skin while being exceptionally stable against oxygenation. With 5 percent THD ascorbate, this moisturizer is powerful at fighting the first visible signs of aging and restoring vital skin radiance, while being uniquely suitable for those with sensitive skin, as THD ascorbate is significantly less irritating than other forms of vitamin C. Once in the skin, it helps boost youthful-looking skin texture and volume, in addition to providing photostable, antioxidant support. Blended with protective, anti-pollution expopolysaccharides and refining lime pearl extract, this formula visibly repairs the effects of aging, environmental stress, and pollution-induced damage. It is rich yet never greasy, providing hydration and antioxidant protection to the skin for a visibly younger, softer, and healthier-looking complexion. (Sephora) After using this moisturizer, I can visible see that my skin is healthy, hydrated, softer and youthful. I’m so happy I decided to try this out. I love that I’m also giving my skin some T.L.C. but a good healthy dose of Vitamin C daily! I would say Sunday Riley has definitely change the game in skincare. With her background, strong beliefs and months spent in the lab creating her products, she’s redefined and revolutionized modern skincare. She’s definitely made a believer out of me, because I’ve seen the results, and I can’t stop raving about Sunday Riley. I continue to share my skincare experiences and what her products have done for me with everything and now you. My husband, family and friends have notice the remarkable results and I myself couldn’t be happier. It just goes to show that the effectiveness of her products, her brand and how rapid the results are. 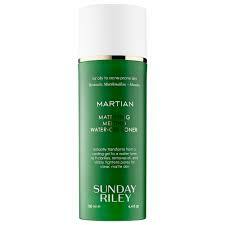 Try Sunday Riley products out and let me know what you think. What are some of your staples for skincare products? 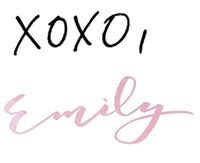 As always, thanks for reading, following along and supporting me in my journey!